Acquired your loan after September 1, 1983, – paid an upfront mortgage insurance premium at closing, and – did not default on your mortgage payments. Originated your loan before September 1, 1983 – paid on your loan for more than seven years and – had your FHA insurance terminated before November 5, 1990. For any FHA-insured loans with a closing date prior to January 1, 2001, and endorsed before December 8, 2004, no refund is due the homeowner after the end of the seventh year of insurance. For any FHA-insured loans closed on or after January 1, 2001 and endorsed before December 8, 2004, no refund is due the homeowner after the fifth year of insurance. For FHA-insured loans endorsed on or after December 8, 2004, no refund is due the homeowner unless they refinanced to a new FHA-insured loan, and no refund is due these. 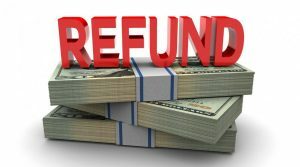 If you believe you are entitled to a FHA HUD Refund, please contact us for an appointment.